This is the bunker at #9 green that had been used as a giant sandbox and slide for a handful of kids. I cannot express enough how hard my staff works to provide you with a golf course that hopefully meets or exceeds your expectations. When this happens, it requires us to spend additional time and resources to make the necessary repairs. Not only does it impact my staff, but it impacts you as well. The excessive traffic causes the sand to lose its firmness and become excessively soft leading to plugged balls. If you wonder why this bunker tends to be softer than the others, damage like this is the reason why. 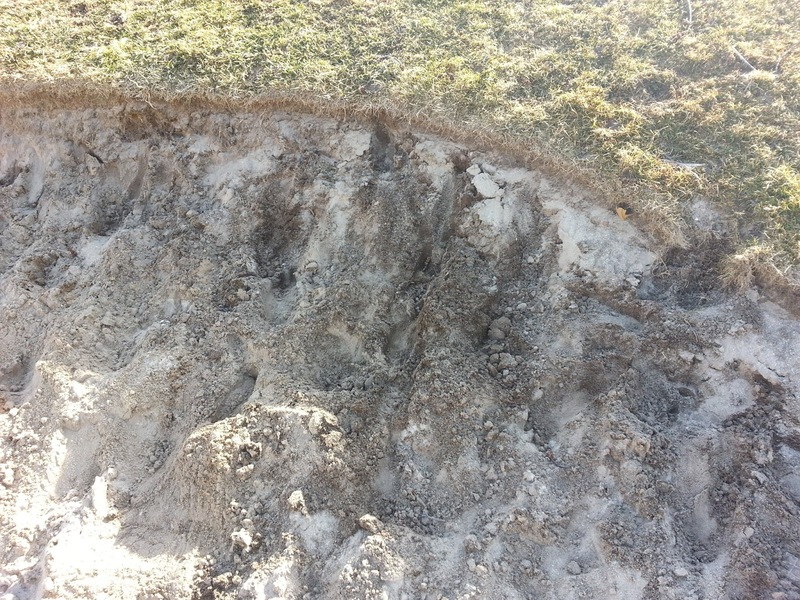 As you can see in the picture above and below, a significant amount of soil has now been mixed in with the bunker sand because of the “extracurricular” activity. This now makes the sand contaminated and it will not drain as well and will most likely create even more inconsistency. 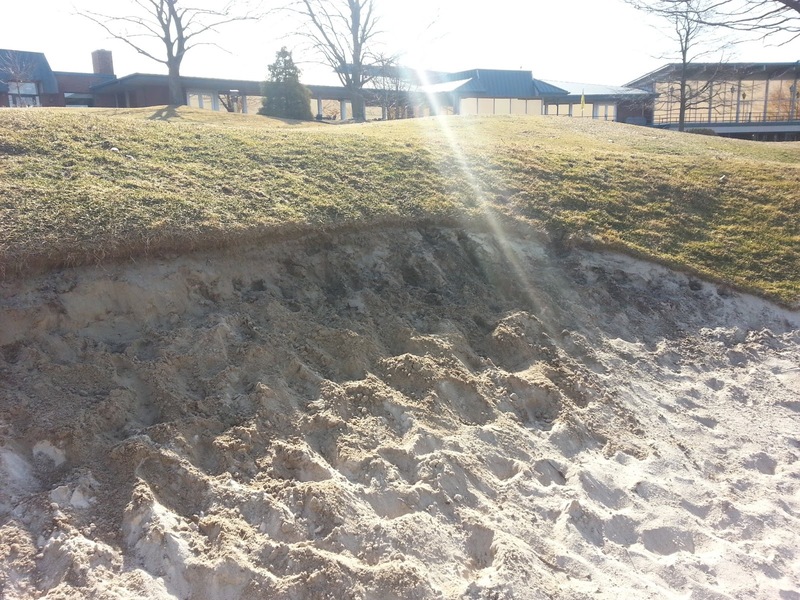 Purchasing more bunker sand is a temporary but very costly solution. It costs us approximately $1,700 for a truckload of new bunker sand and a bunker like this would easily take 1/2 – 3/4 of a truckload. Obviously, this is not in the budget right now. 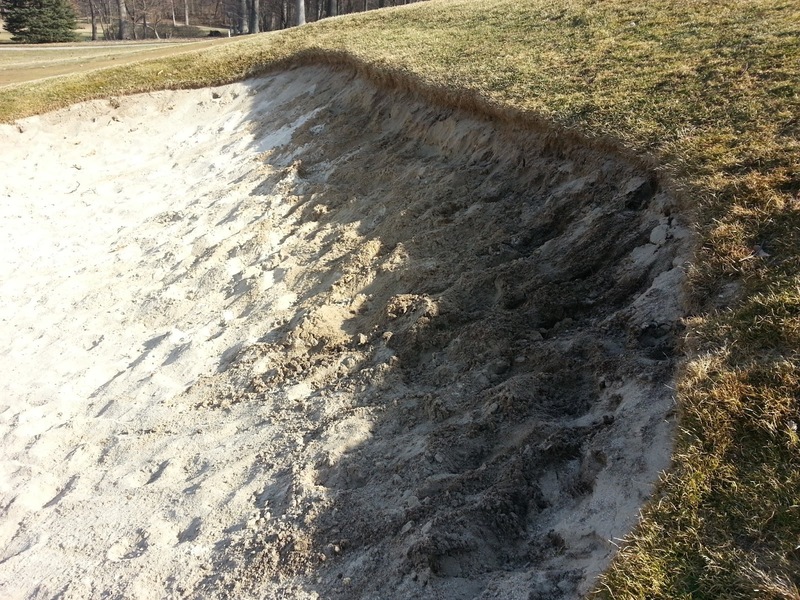 The real solution to the problem is to eliminate the use of bunkers as a playground. Thank you for reading and the next post will be much more positive…I promise! In the meantime, get out and enjoy this fantastic weather. 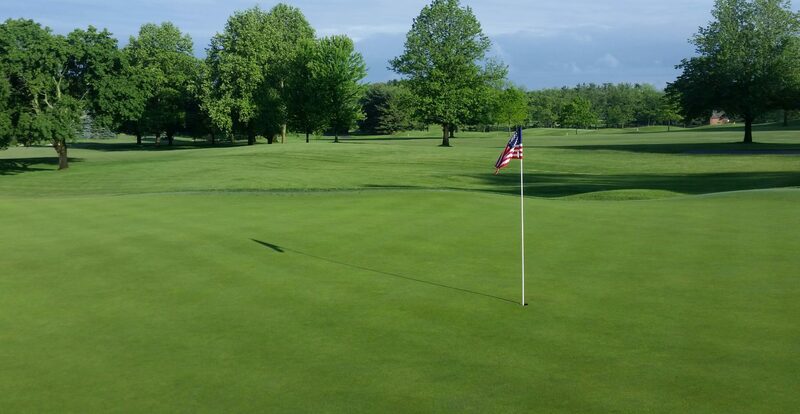 It’s now official, the golf course will open for the season on Friday, 3/29 at Noon. The weather looks like it will cooperate for a few days so make your tee time and enjoy the course. Looking at the nighttime temperatures, I would not plan on having any tee times available prior to 11:00 am or Noon until we really see a warm up. As far as maintenance on the course is concerned, all greens have been rolled and they will be mown either today or Friday before play goes out. Due to a limited staff and the fact that the turf is not growing much right now, we will only mow as necessary. Aerification of the fairways will begin next week and we will be using solid tines to enable us to work around the weather and not create a mess. The aerification of the greens has been pushed back to April 10,11 with the hope that they will be growing consistently. Well, it looks as if we may actually get to play some golf this spring! If the forecast stays the way they are predicting, it appears that the golf course could POSSIBLY be open on Friday or Saturday. This is not set in stone and it won’t take much for us to have to delay the opening. For those of you that regularly read this blog, you are now officially the first ones to know our current thoughts regarding the course opening. I will keep you posted here on the blog and I’m sure the club will be sending out an official email once the opening date is finalized. If you have a twitter account, please follow @ElconaGrounds for more timely updates and course conditions. 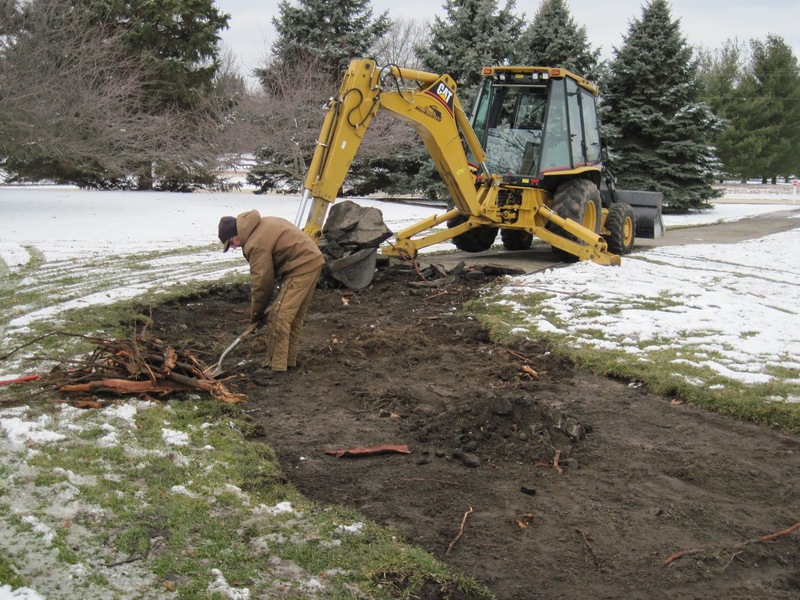 On a much different topic…Do any of you remember the cartpath at #10 green that had become a giant section of speed bumps from a tree that was in close proximity? As of Monday, you no longer have to worry about it. the bad sections have been removed and we are planning on sodding this area once sod can be cut. There is a lesson here, but I will save it for a future blog post. Stay tuned for more updates and thanks for reading! 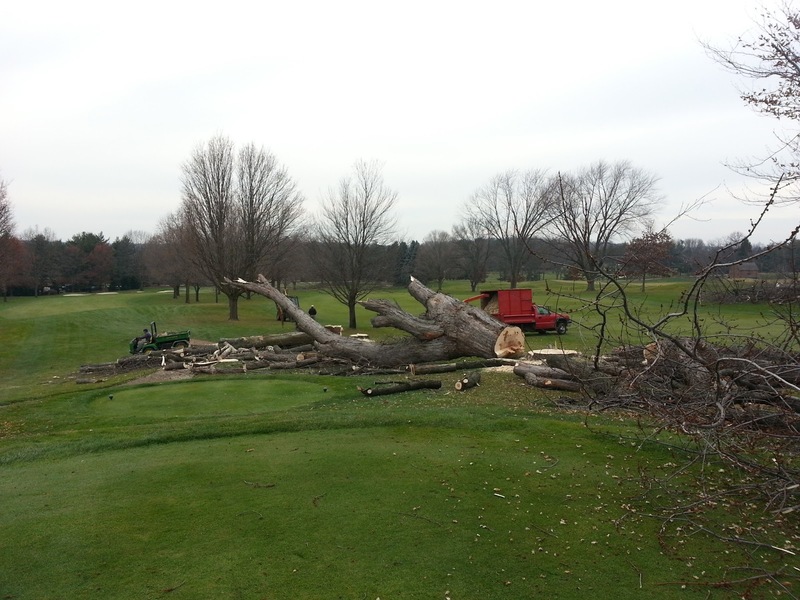 Removal of cartpath at #10 green. Notice the size of the tree roots! It’s getting closer, but the snowfall this week is making it difficult to know when winter will end. To date, we have had a very successful winter. 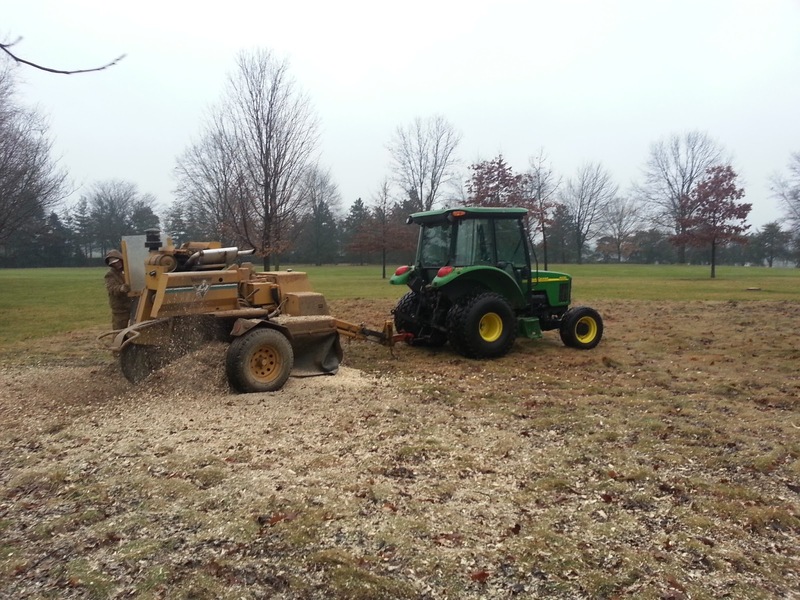 Our normal tree removal has been completed, stumps have been ground and cleaned up, and all of our equipment has been serviced in anticipation of the coming season. The golf course remains healthy with the exception of a few small areas of disease on a couple of tees that are historically problematic. 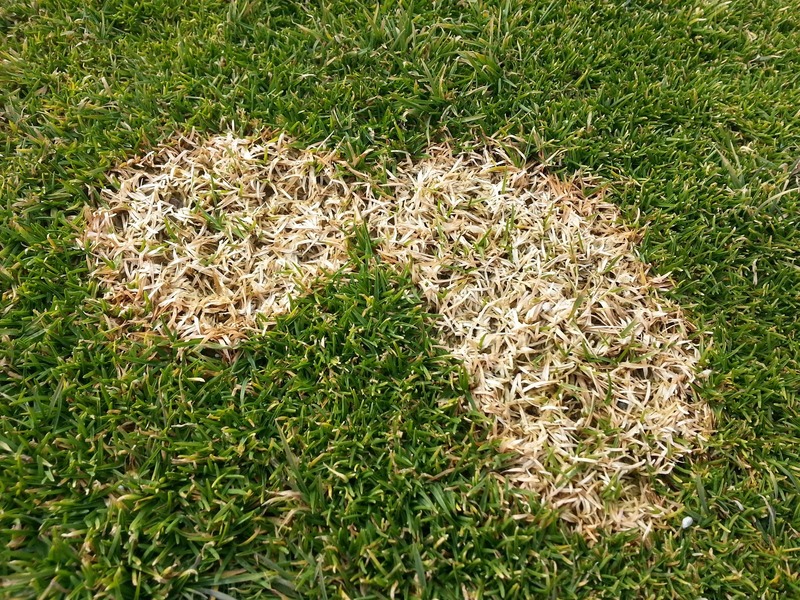 The picture below was taken on #5 Blue tee and shows some active pink snow mold. The fact that we do have some minor disease is not a surprise given the several freeze/thaw cycles we have seen this year. it is not a cause for concern at this point, but we will pay close attention to it once the snow melts. 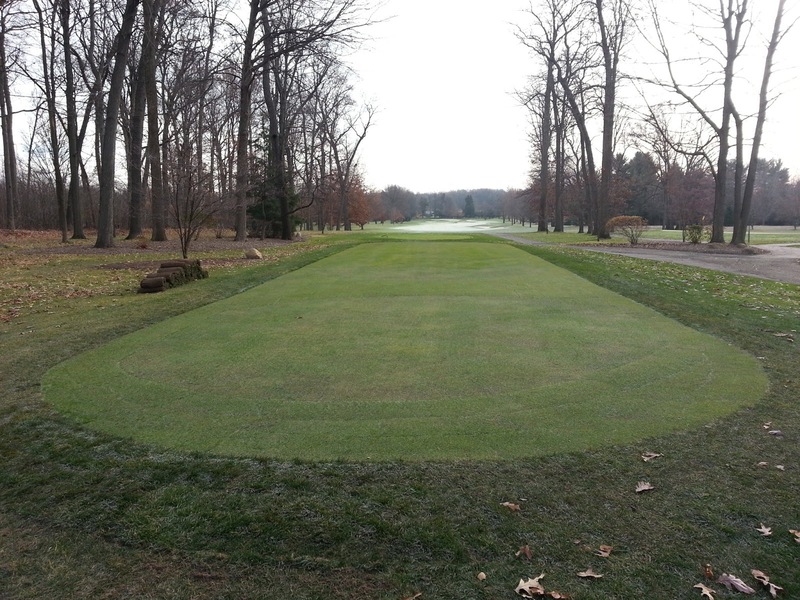 One project that was completed late last fall was the renovation of the Blue and Black tees on #7. Because of the proximity of these two tees and the excessive wear and tear that the Blue tee receives, we joined the two tees together to generate additional tee space. This will hopefully lead to better turf quality and a better looking tee. I am thrilled with the outcome and hope that you will be as well. Regarding the opening of the golf course for the year, it will not open until the frost layer is permanently out of the ground. The current depth of the frost layer is only about 4-6″. 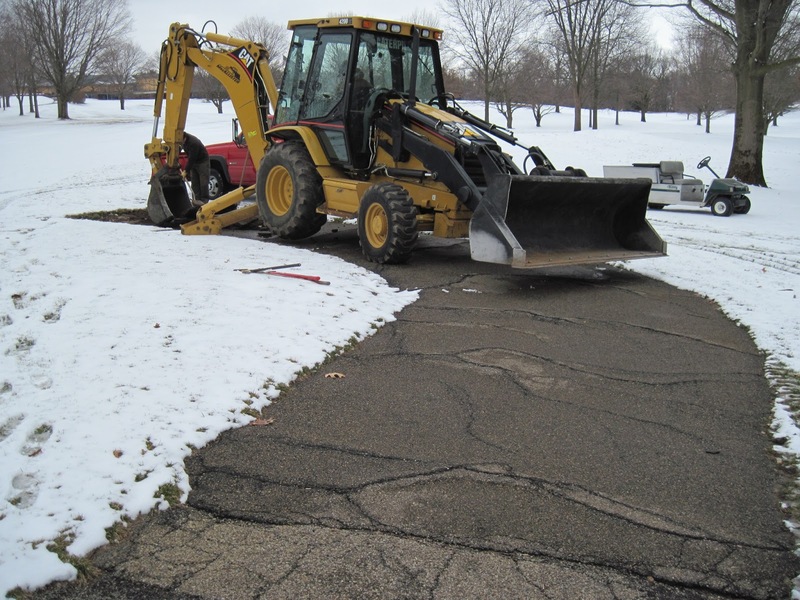 The reason we wait to open the course is because damage could occur from excessive foot and cart traffic that would prolong the recovery of the turf in the spring from the harsh winter months. Picture a container with a water-soaked sponge in it that completely fills the container. If you press your fingers into the sponge, there is no place for the water to go except to the surface where you are pressing your finger. In this analogy, the sponge is the water soaked soil, the container is the frost layer that prevents water from draining and your finger is a golf cart or excessive foot traffic. Hopefully this gives you an idea of the displacement that can sheer fragile roots, unsightly rutting and poor surface conditions. This is a common practice that has been employed by the club and my department for a number of years. Just because the course remains closed, you can still utilize the club. Beginning March 7th, the club re-opens for activity on Thrurdays, Fridays and Saturdays during the month of March so come out and enjoy a great meal, hike/ski the trails or get some practice at the indoor hitting area. Have a great remainder of the winter and stay tuned. Those of you that have subscribed to the blog by entering your email address at the top of the page on the right side will be the first to find out when the course will re-open. See you soon!